Providing opportunity to engage in conservation project work that is inclusive and accessible for many abilities! NOW HIRING FOR SUMMER 2018! See details at the bottom of this page for our 2018 crew leader and member positions. Traditional corps projects are often located in remote areas that require corps members to be in excellent physical condition, however, the UCC has designed projects to include crew members with physical disabilities. Among UCC members, physical disabilities have included quadriplegia, epilepsy, traumatic brain injury, blindness, multiple sclerosis (MS), deafness and cerebral palsy. Since 2007, the UCC has developed service projects that are more physically accessible than traditional projects. . Accessibility condition surveys are a critical first step in the development of transition plans. During the survey, each portion of a structure is compared to accessibility standards or guidelines, and compliance and deficiencies are recorded. Every Forest Service unit in the nation is required by law to have transition plans in place; however, many do not. 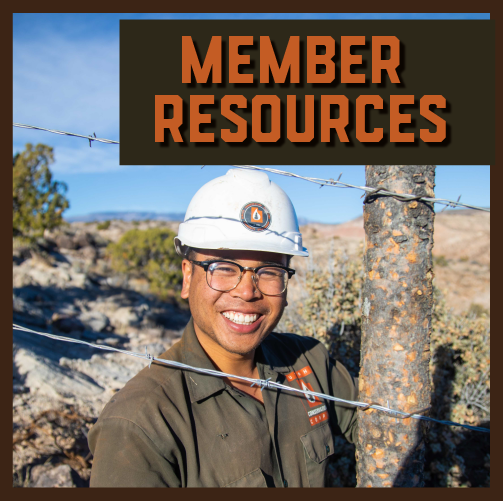 The UCC inclusive crew has demonstrated itself to be an effective partner in addressing this federal mandate and making developed areas on federal lands accessible to users of all abilities. In 2009, the UCC inclusive crew assisted the U.S. Forest Service in the development of a new national accessibility information database that will provide the public with information on accessible campsites, facilities and services. The accessibility information gathered and entered into the database by inclusive crews automatically feeds Forest Service District web portals that are accessed by the public. Conservation Corps throughout the country can now enter accessibility information into this new database in a consistent manner, making the inclusive crew program model easily replicable. 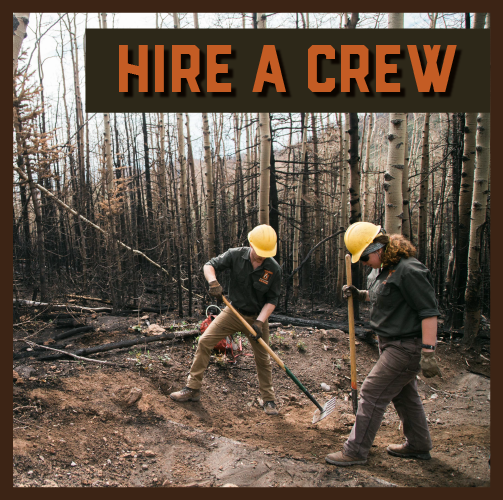 Inclusive crews not only survey what is out there, they are also a part of the solution. 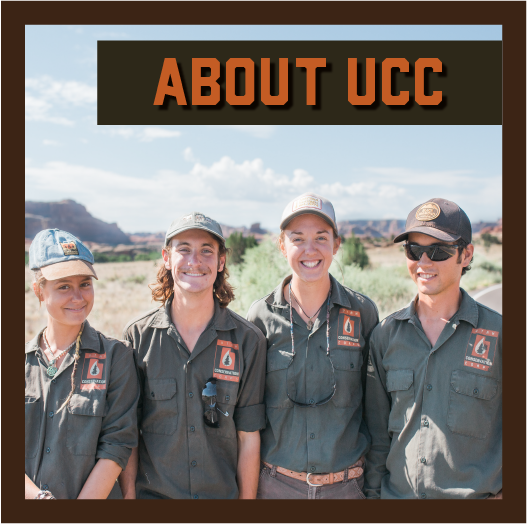 All UCC crew leaders are trained in trail maintenance and construction and can remove some barriers while the crew is on site. Sections of trail can be widened, rocks can be removed and vegetation can be pruned. After a crew leader in the UCC became disabled from a bike accident, the Corps decided to work on a project that would include people with disabilities in conservation corps projects. The lessons learned from UCC and two additional Corps were used to develop a toolkit that will enable Corps throughout the country to develop inclusive programs. Our 2018 Accessibility Survey Crew will complete surveys on trails, parks, and open spaces around Salt Lake City. The purpose of the survey is to evaluate whether facilities can be made more accessible to individuals with physical disabilities. This position will involve travel, working in the outdoors, and returning to the Salt Lake area each night. Reasonalbe accommadations to complete project work will be provided, including adaptive equipment. Please read through the Full Position Announcement below for the list of essential functions and requirements needed to be successful in the position. We have 3 positions available for our 2018 summer crews. These positions are based out of Salt Lake City, Utah. Project work will take place at sites throughout the Salt Lake area on Open Space lands. Crew Leader position will start up to a week prior to the season start date. Reasonable accommodations and alternative formats can be made available for applications and interviews. Please contact the UCC office at 435-797-0964 x1 or lindsay.thalacker@usu.edu for more information. Community gardens are places where people of all backgrounds and abilities can come together to grow food as a community. However, if the garden is inaccessible, community members with disabilities are excluded. In an effort to make the Cache Valley Community Garden truly welcoming for all, crew members have designed and constructed wheelchair- accessible raised beds and planter boxes, accessible gardening tools, and hardened pathways throughout the garden. The UCC will be hiring 4-8 AmeriCorps members to serve on the inclusive crew in 2011. Accommodations and adaptive equipment will be made available to crew members with known disabilities so that they can fully participate.